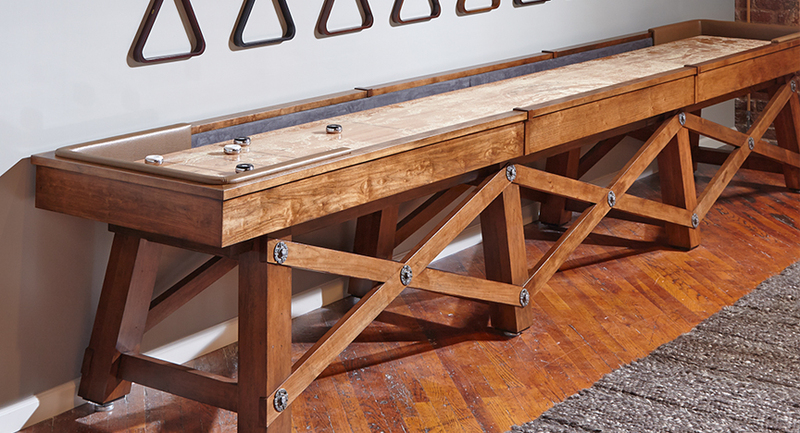 The casual beauty of the Loft Shuffleboard by California House has to be seen to be believed. 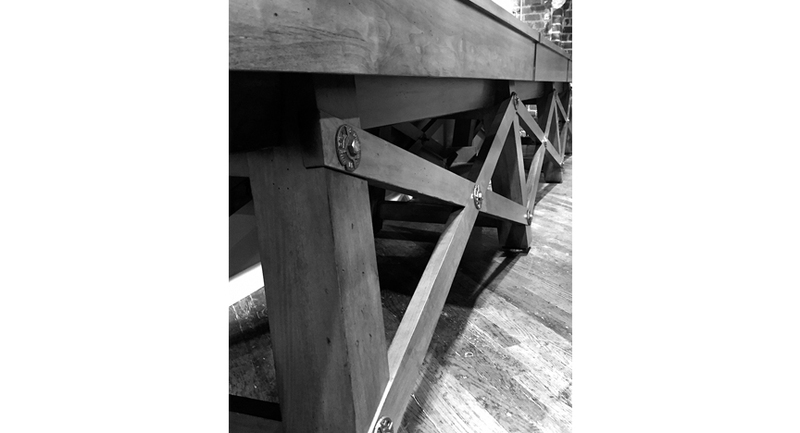 With the stable, and reliable structure inspired by the railing in their own small factory, this table shows the true strength and character of the industrial style. The 12 footers are the next size up from the 9’ Loft shuffleboards. They still have some of the great qualities as their smaller cousins, being more compact than longer tables, and providing gameplay that’s a little more technique-based. 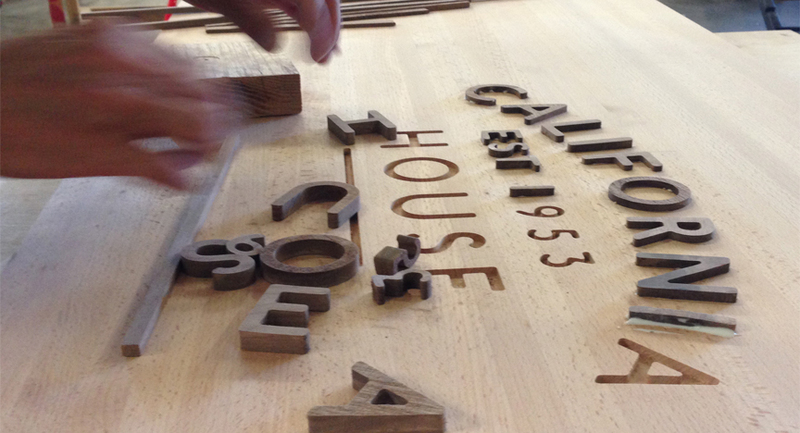 California House’s promises to bring quality, creative models are proven to be constant by the observation of the carpenters’ outstanding attention to detail. 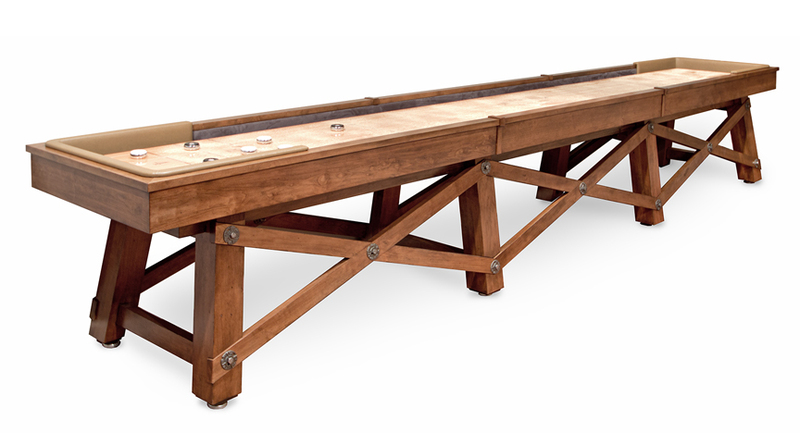 With achievements as high as its name, any owner would be happy to play on the glistening surface of this shuffleboard table. 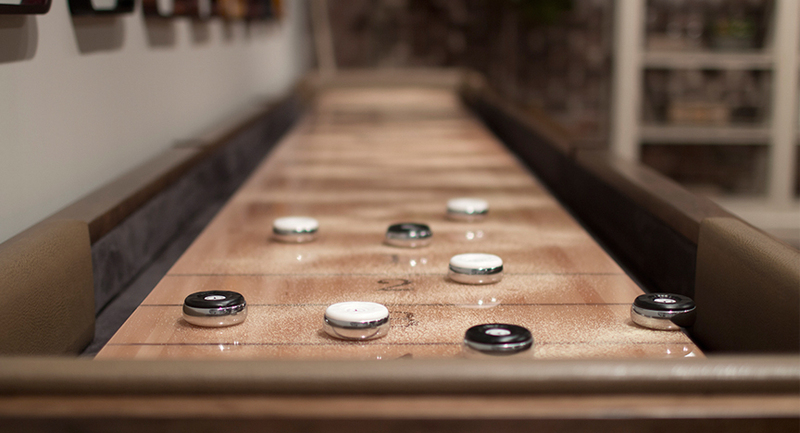 The Loft has a solid 2.25″ thick tongue, and grooved beech wood play field with inlaid black walnut scoring areas. All quality-made in the USA.